WARNING – E-safepayments.com has been known to engage in fraud and steal from high-risk merchants. They may have taken around 1 million or more from various merchants with no response. One merchant claims 400k was processed without payout and another is claiming 200k, ouch! We may not have the whole story, but E-Safe payments have been contacted multiple times in regards to this with no response. Do NOT deal with them until this has been cleared. I might also mention that this company owes me around 25k personally from one of my e-commerce businesses so this is personal experience on my end as well. It appears E Safepayments.com is still operational meaning merchants are still at risk for getting scammed. Their website may look nice, but please take a look at reviews before doing business with this company – unless you want to potentially put your funds at risk. If E-Safe Payments management reads this, please contact us and let us know why the merchants have not been contacted, and how the company intends to address the issues. Esafepayments.com is a payment processing website. They offer services to various businesses, whether big or small, as well as low to high-risk merchants. They define these by themselves, and the fees go up the higher the risk is. They specialize in high-risk businesses, however, and claim that they can solve any problem regarding merchant accounts in this field of work. Their team is qualified and experienced and will be more than happy to offer assistance. They also claim that they offer the highest security on the market regarding frauds and scams, especially with credit cards. However, this will show to be wrong. If you choose to do business with them, you get pre-approved in 48 hours, which is a good deal compared to some other companies. We recommend to stay away from this company there have been multiple reports of them scamming. This company is known as a scammer company so please stay away at all costs until issues have been addressed. We do not agree to slander a company unless there have been sufficient reports. We have contacted E-Safe about the issues with no response. Reports show E-Safe has stolen around a million or more from various merchants. Karan Talwar, the alleged owner of part owner of the PSP has been known to insult merchants when they ask for their money and then not respond. It is possible that the bank had taken the money however Karan Talwar has not been around to make comments or address these issues so it is really possible that the PSP is involved and not the bank. It is also import to note that the corporate registered address is in Seychelles, a known island content where the government has been known to engage in fraud themselves. Help with minimizing fees and the cost of processing payments, while maximizing profit for businesses – This sounds like a good deal for less money spent on fees means more money stays with the client. Protection against fraud – They monitor each and every transaction to protect clients from scams. Huge support for currencies – Esafepayments.com supports many different currencies, over 160 different ones! Acceptance of all industries – Whether high or low-risk, they accept all. They are experts when it comes to high-risk businesses but accept all kinds. This is great because they can process more money and gather more clients at the same time. Tech Support – Safe Payments appears to have a dedicated support team. We added their tech support to Skype and they were very responsive. They could not answer questions about merchants getting their money stolen so it is possible the support team is outsourced and paid a small amount of money to make them look more legit. If this website sounds too good to you, it probably is. We gathered a few reports about them, and they aren’t positive. People have complained about this company a lot, about how their money gets ‘stuck’ in the transaction, and when they try to contact customer support – no one returns the calls. One specific review/report said that they have been in the botanical business, and no one else wanted to accept them as clients. That’s when they turned to Esafepayments.com. It was low-risk, and the company accepted the offer. They had to pay $1500 for the start-up fee. The problems started happening when his customers started contacting him to ensure it’s the correct company. This happened because Esafepayments.com use Chinese banks to process the credit cards. Another thing that happened was that the banks showed different amounts of money (which is common with China banks) that were processed, one customer mentioned having his card processed three times! When the client tried contacting Esafepayments.com, they didn’t respond to either E-mail or Skype. All of this is very shady, and if you choose this company, you will most likely lose money on them. 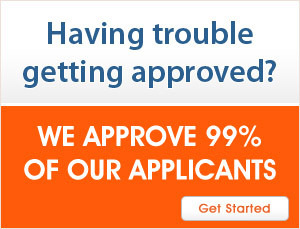 There haven’t been almost any positive reviews, and this tells us that the business is a scam. We strongly advise against using them as their record and reputation is awful. However, if you have no other choice (which you should, considering various companies of the same kind), be very careful about processing your credit cards at Esafepayments.com. To top it all off, the lack of communication with their support team shows how there’s a lack of professionalism and trust.